We began the day at Basilica San Clemente a Laterano near the Colosseum. Our guide explained the layers of history beginning with the modern by Roman standards Medieval church at street level. Then we went down to the remains of the early christian era 4th century church and then further below a pre-christian Mithrian temple. While the excavation and curation is incredible, having a guide to make sense of what you are looking at is even better. 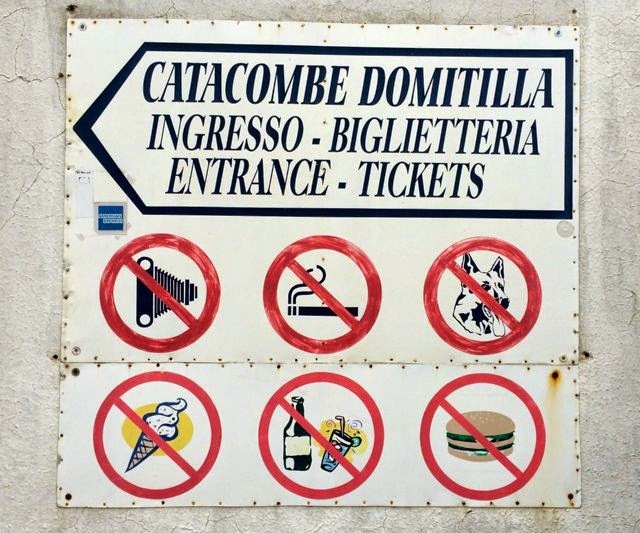 We climbed back up to the drizzle and headed out to the Catacombs of Domitilla. 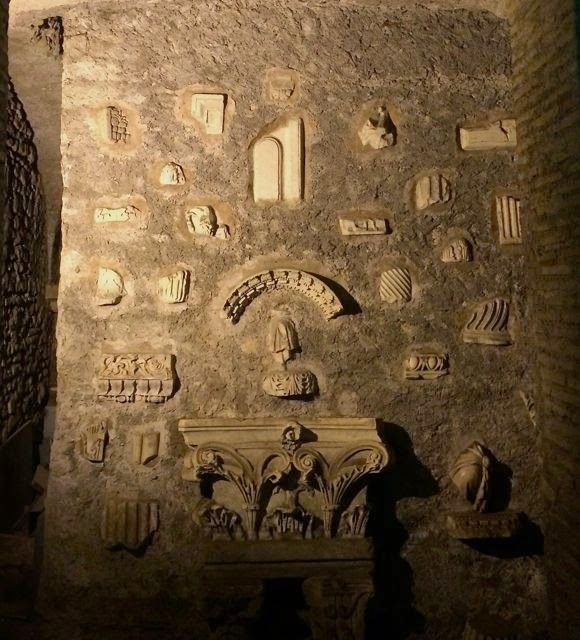 Spread out over an 17 kilometers of layered and elaborate underground tunnels, these catacombs are a unique snapshot of early Christian Rome. When we came back up from our visit to the the tombs and the 4th century Basilica the sun was shining again. 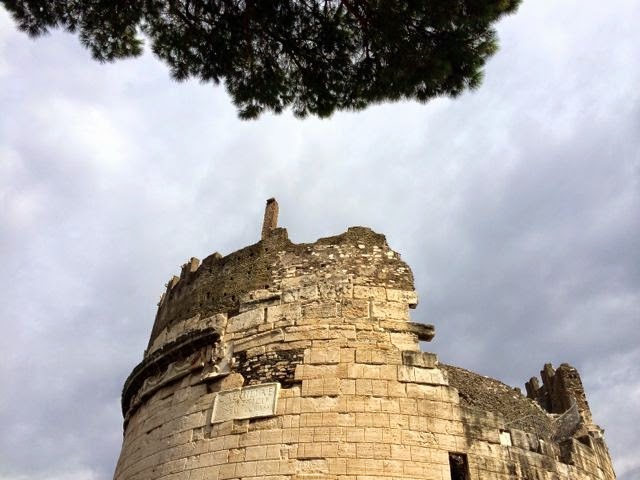 We took a quick drive along the ancient Appian way with a stop at the tomb of the first century B.C.Roman aristocrat Cecilia Metella. Our final stop at Antiqua Romana for lunch. This was no ordinary trattoria. 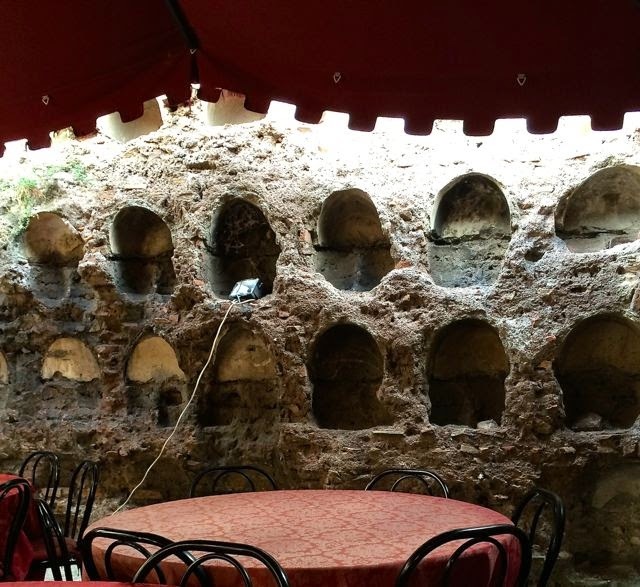 Continuing with our theme, the outside tables are in what was once an ancient Columbary commissioned by the emperor Augustus. 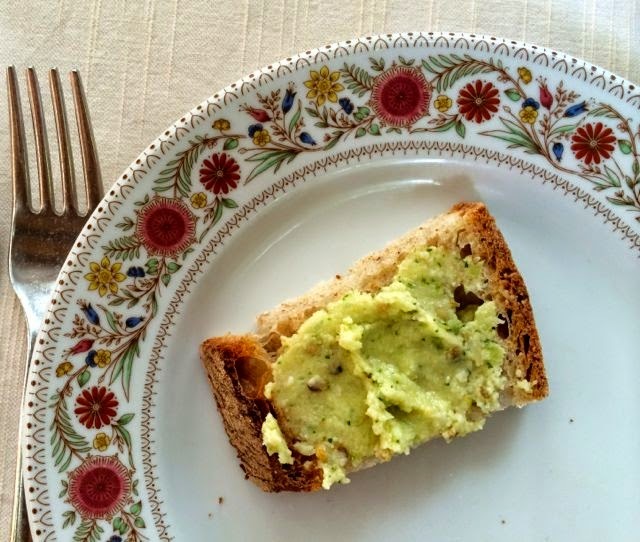 Our cheery host explained that our meal was based on ancient Roman recipes and we began our meal with crusty bread spread with moretum, a potent paste made with herbs, garlic and pecorino cheese. Next was a meat lasagna and then we finished with a creamy chicken dish known as pollo oxizomom. Both of these dishes are from 1st century recipes attributed to Apicus. This was my first time tasting these ancient recipes, it will not be my last. 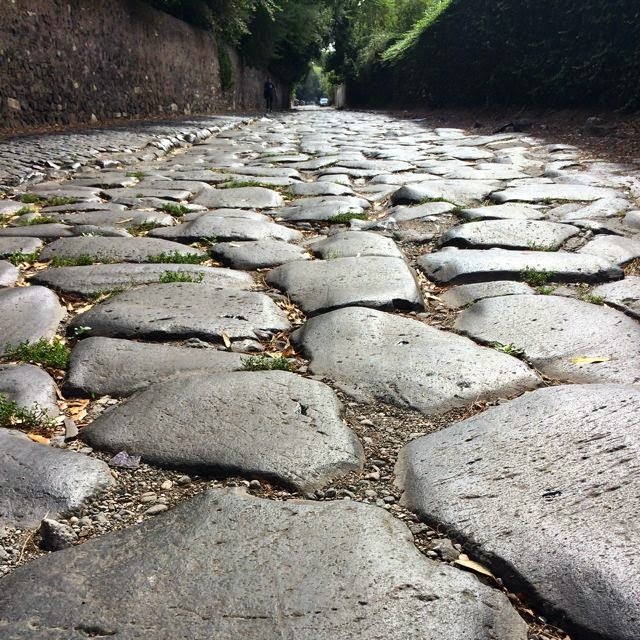 Book your Roman Catacombs tour with the Roman Guy here.